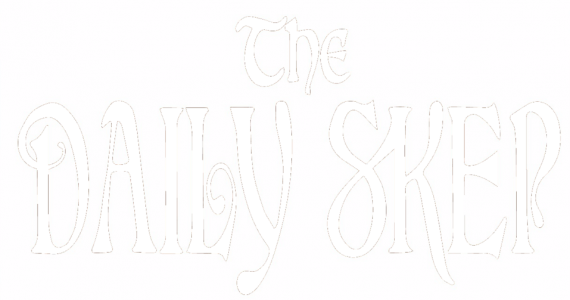 I posted it as an informal straw poll to see which one people generally used or liked better. I was surprised to see that most folks proclaimed the no.3 to be top of the shop. Well, on second thought Maybe I wasn’t so surprised, because after using both the no.3 is my preference as well. I’m a big guy and I can swing a heavy plane, but something about this smaller and lighter smoother has captivated me. It may be that it just feels “agile” and smoothing is a task that requires some finesse and agility. It may be that the no.4 feels cramped like a compact car, but the no.3 feels like a well tuned sports car with just enough leg room to work the clutch around tight corners. Maybe it’s just infatuation with something new. Whatever it is, my no.4 is sitting the bench right now and my no.3 is in the game. In one sense it all comes down to a couple fractions of an inch. That difference doesn’t sound like much, but it’s most evident when you compare the surface area of the bottoms visually. If you wanted to crunch the numbers, the no.4 covers about 4 1/8 square inches more area than the no.3, and when the no.3 is 20 1/4″ square total that is a significant difference (nearly 20%). The irons also make a significant difference. 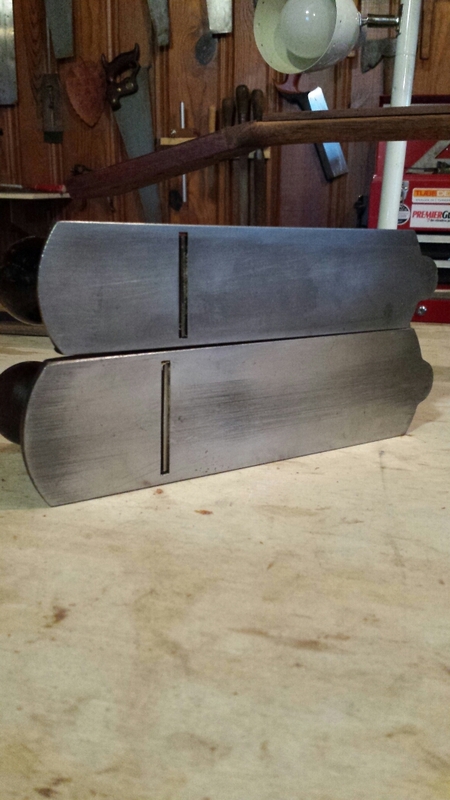 The no.4 uses the standard 2″ blade found in the no.5 as well, but the no.3 uses a 1 3/4″ blade. Again, it seems like 1/4″ shouldn’t be a big deal but, in practice, it’s a world of difference. The immediate difference I noticed was the size of the shaving. The no 4 was taking off handsome shavings with ease and the no. 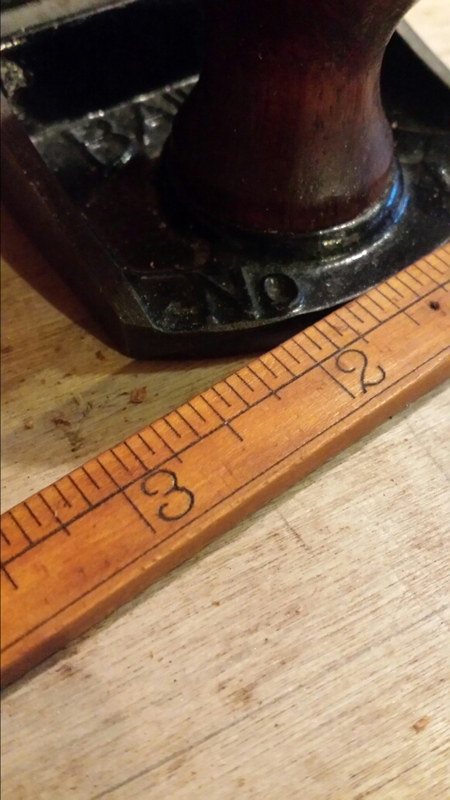 3 was doing the same, but the no.3 had a lighter touch on the wood which is a real advantage on this mahogany (the grain reverses to some extent). The smaller iron, with a slight camber, let me work trouble spots with ease. In the end, they both produced a fine finish. 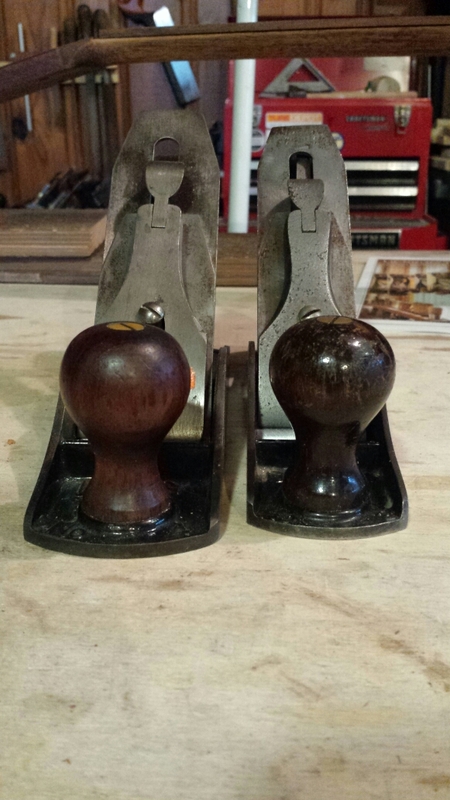 (The no.3 on the left and the no.4 on the right). So that’s the difference. Now you really have to decide for yourself. The tech specs are available online, but until you put the two next to each other, hold them in your hand and run them down the grain of a board, it is hard to quantify the feeling in quarters of an inch. Metaphor fails, as always, but I hope this gives an impression of what it’s like to use the two and why one might work for you better than the other. And, as always, if you have a story or comment to share below about your search for the perfect smoother it is most welcome below. Really nice post. I feel in love, and still am, with the No. 3 .. but .. I love, love the Sargent No. 407 for final smoothing cuz of the even shorter bed. I can get into all those little valley on a big top. The 407 (equivalent to the Stanley No. 2) is a little bit bigger than the No. 2 so my hand fits nicely. Reading Chris Schwartz’s musings on the no. 2 a few months back almost had me convinced to get in line for one, but after finally trying one at the LN hand tool event last week I’m glad I went with the 4 1/2 instead. The no.2 was just a little too tight for me but I can see the allure. The no.3 and the 4 1/2 cover the field pretty handily. @Marilyn. Yes, I too have a Sargent No. 407. However, mine has had a very hard life and neither the tote nor the knob are original, and indeed the knob looks like it was made from a modified bobbin reel (which it might well have been). It belonged to a long lost uncle, or possibly my grandfather, no one now knows. At some time, I think the blade was re-ground on a dry high speed wheel and has lost it’s temper, so it will not hold an edge. 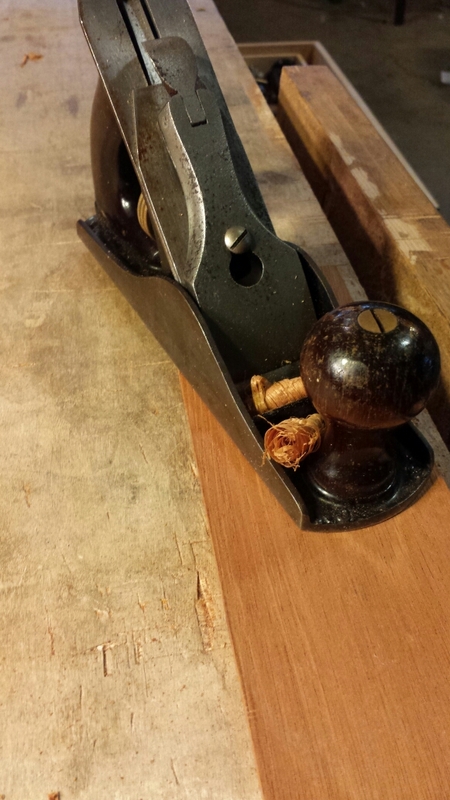 I am currently using a seriously modified block plane blade in it, which is barely long enough, while I search for a suitable replacement. 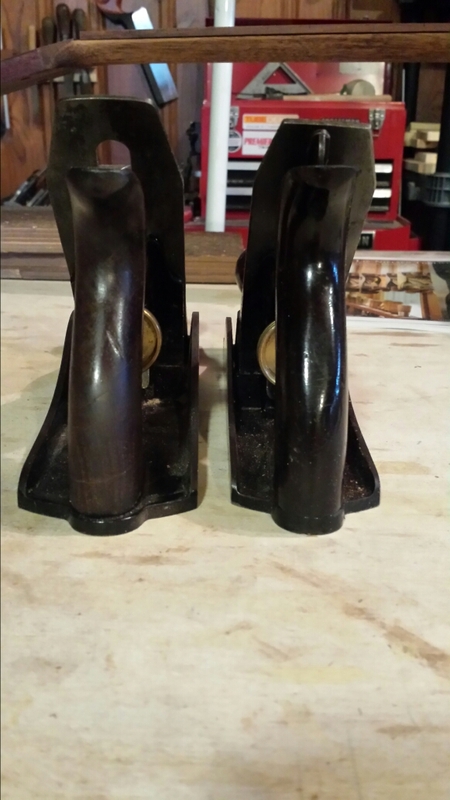 1-5/8″ blades other than for a block plane are very difficult to find, and all would need a suitable slot cut in for the adjuster. 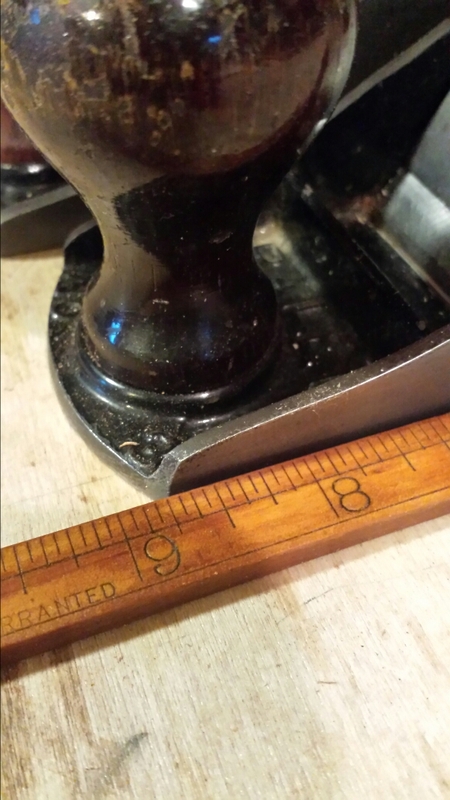 Heavy tapered blades will not fit – I’ve tried that! The wheel adjuster runs backwards, which sometimes catches me out. The thread is not a left hand one. I have looked for a solution to re-harden the blade, but cannot find a local smith with the right facilities and understanding that I could trust. 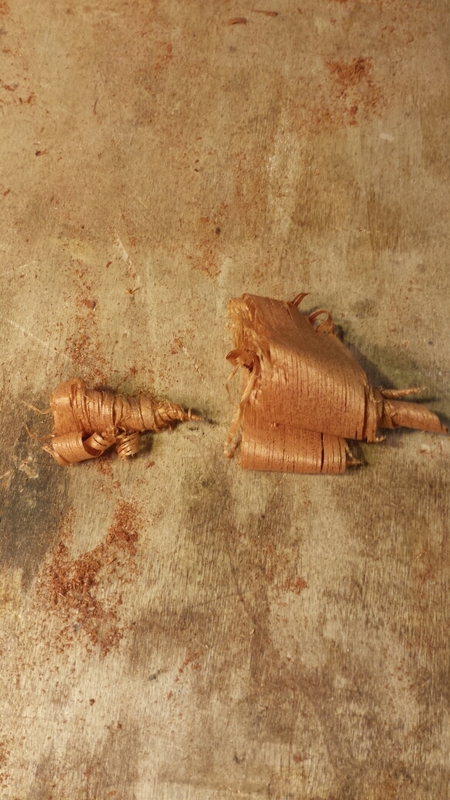 I have failed with other tools at hardening myself, and do not want to risk ruining the original blade any further. 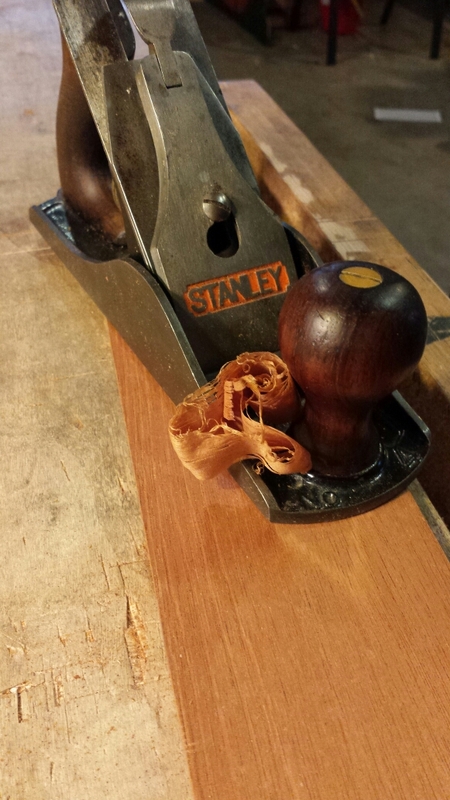 Even with the block plane blade in it, I find that I reach for that plane at least as often as my trusty Stanley No4. I really should make a better front knob for it. It sounds like if you can’t find a vintage no.2 sized blade you may need to open up the mouth a little to fit a Lie-Nielsen or maybe even a WoodRiver blade. I just recently ordered a WR blade to try out in my no.7 and it’s a fine blade. Great comparison and I applaud you ability not to let your preference cloud your judgement and just give the measurements and “tasting notes” on the feel of each. 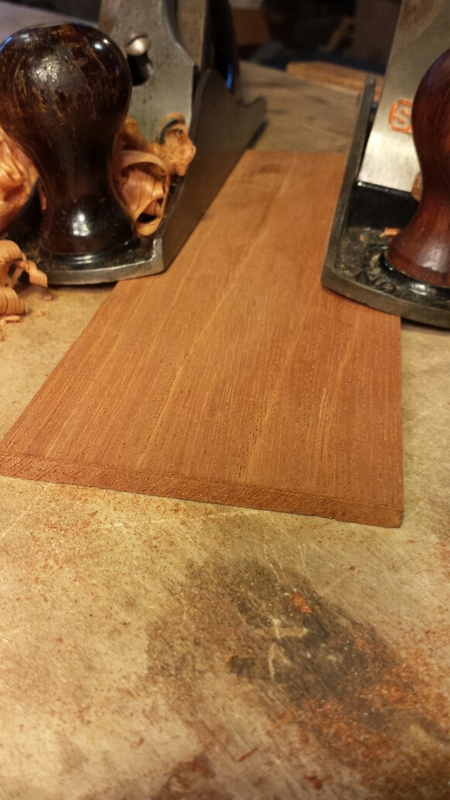 20% surface area is a big difference and that is almost the difference on the width blade as well. 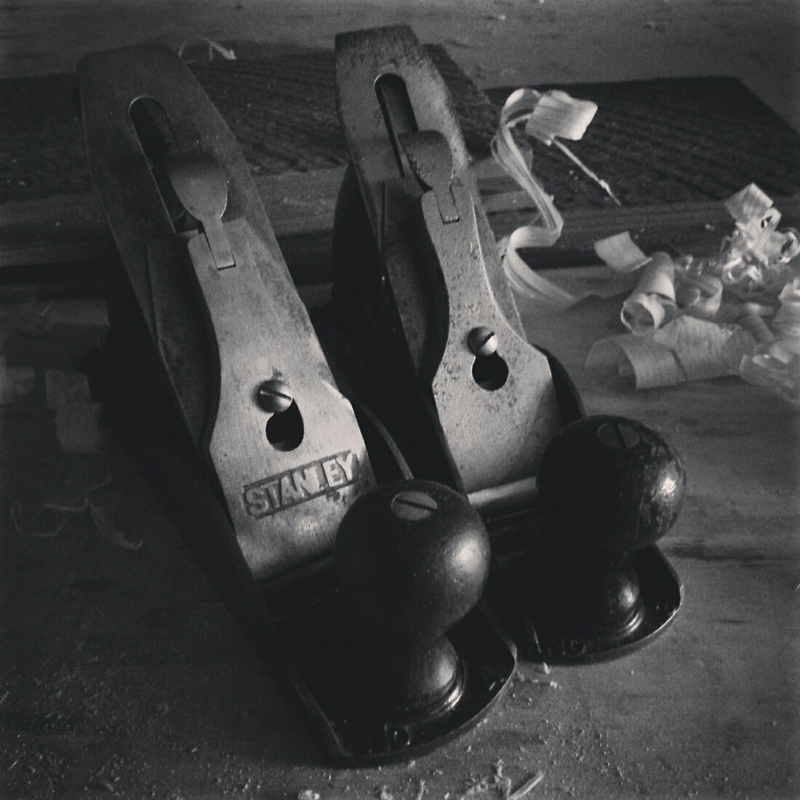 I have a four and five and a Stanley low angle block plane. The difference between all of those is significant. I have only started seriously woodworking in the last 6mths and can’t wait to be able to fine tune my work enough to notice the 20% difference. I started with an axe and cross-cut saw and and working my way up to a spoke shave and draw knife. Lots of sharpening so far and so many wood shavings. I am making some rustic mallets out of ironwood (hop hornbeam or Ostrya virginiana) to make some money for tools. It grows in abundance in northern Wi but need serious care when drying. 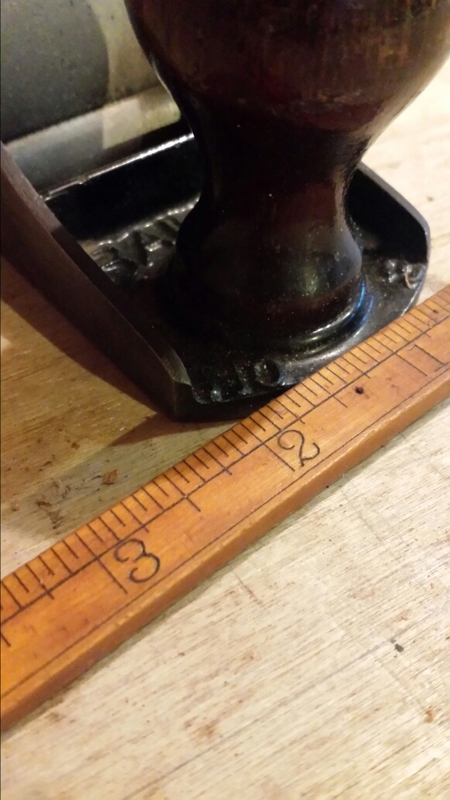 Any thoughts you might have on thataubject would also be appreciated as to what woodworkers want in a mallet or sledge. Jon, thanks for the comment. I certainly don’t claim to be an authority here, just sharing what I’ve learned along the way. Oh man, I’d love to make a hornbeam mallet sometime! The first two tools I made were mallets (cherry and white oak) and they’re in constant use in my shop. As far as what folks want in a mallet, however, that seems to be a pretty subjective matter. 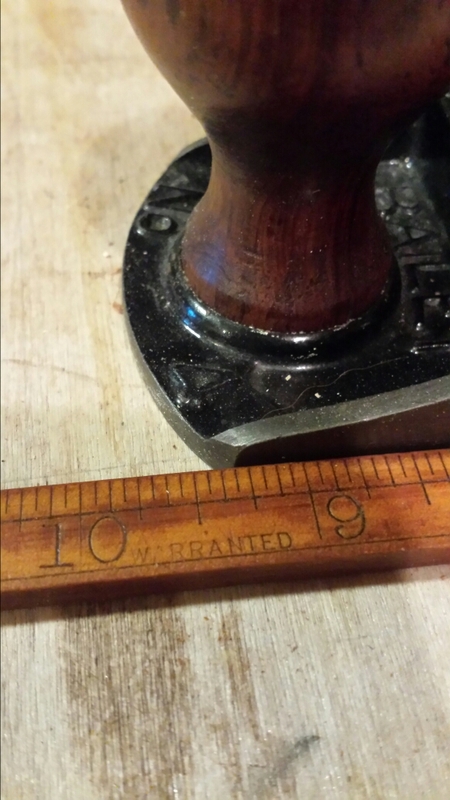 I like what often gets called the traditional “joiner’s mallet” with a rectangular head. Others prefer turned mallets. I find that the angular head of the joiner’s mallet aligns my blows better so I get less glancing strikes, but honestly I could work with whatever was sitting on the bench.